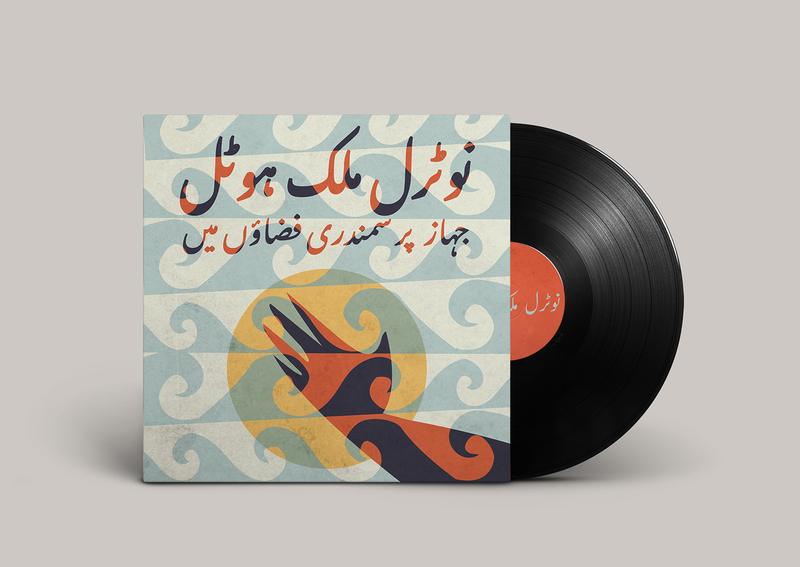 The Urdu Vinyl Project takes inspiration from mid-century modern South Asian design to re-imagine album art. There is a special place in my heart for the South Asian offshoot of mid-century modern design. The movement was popularised internationally roughly between 1940s through 1960s. Its manifestation in the subcontinent didn’t disappoint. Contrasted with Urdu/Hindi/Bengali lettering, the movement took on its own look. The clean lines, reduction of elements to their simplest forms, striking colours and gentle curves danced harmoniously with the complexities and sharpness of South Asian scripts, creating a design that’s fairly global due to Western influences, but still so very unique to the subcontinent. Although the design style was popular and cherished in South Asia, it was often ignored in the West, where I live, and the exotified and orientalised imagery of paisleys, henna designs, warm saffron and haldi palettes was what the Western gaze preferred. But I always identified with all the possibilities outside the East/West binary. I never wanted to feel the need to slip in and out of polarised identities, but rather live in a space where I could take my past experiences, traumas, joys and worldviews to create a unique self. 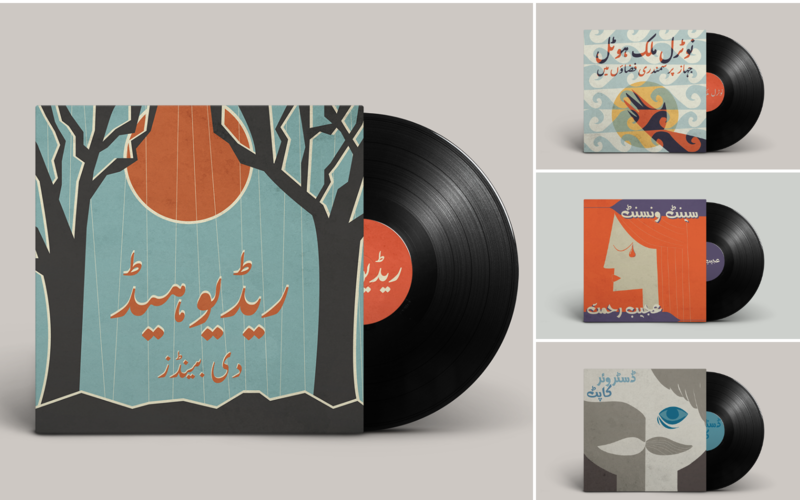 The Urdu Vinyl Project is a love letter to my past, to the version of me that was just starting this journey; the girl who, like the mid-century modern design movement, rejected the idea of fitting into a silo assigned to her. My journey began after enrolling at a university in Washington, D.C. with a large desi population. A majority of this group subscribed to the hyphenated identity of Pakistani-American. While the hyphen may, at first, feel like a union that encompasses many aspects of being both Pakistani and American, what it really did was create a completely separate subculture. The hyphen became an identity in and of itself and it didn’t feel like one I subscribed to. Everything felt like it had to fit within the confines of the hyphen, from clothes to music to career choices. I decided to completely let go of the hyphen. Moving past the idea that I had to fit in to be accepted was not only extremely liberating, it also led me to passions and choices that I wouldn’t have been able to discover otherwise. Some of the most important discoveries I made were through music. 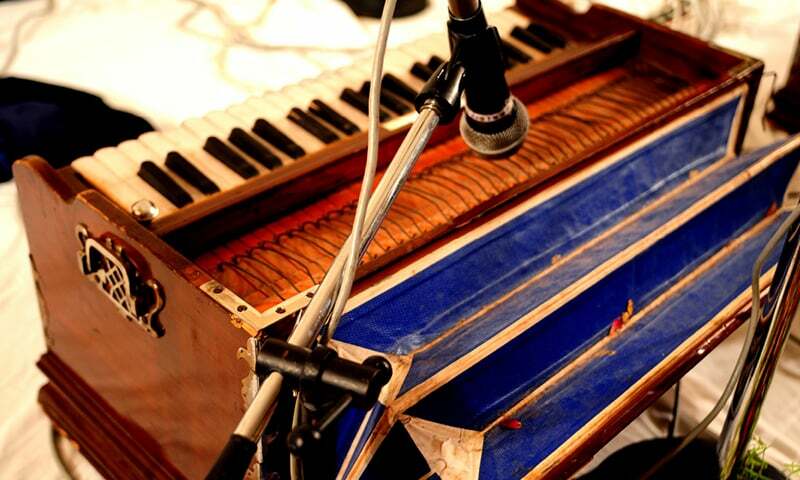 I found myself having the same emotional responses to the complex melodies of Radiohead and the powerful yet velvety voice of Mehdi Hassan. I danced around my room wildly to upbeat indie-pop, as well as 70’s Lollywood disco music. I could rap all the lyrics to Dreams by the Notorious B.I.G, and also the lyrics to Suno Ke Main Hoon Jawan by Noori. Seven years later, I find myself in a position where I have matured artistically. 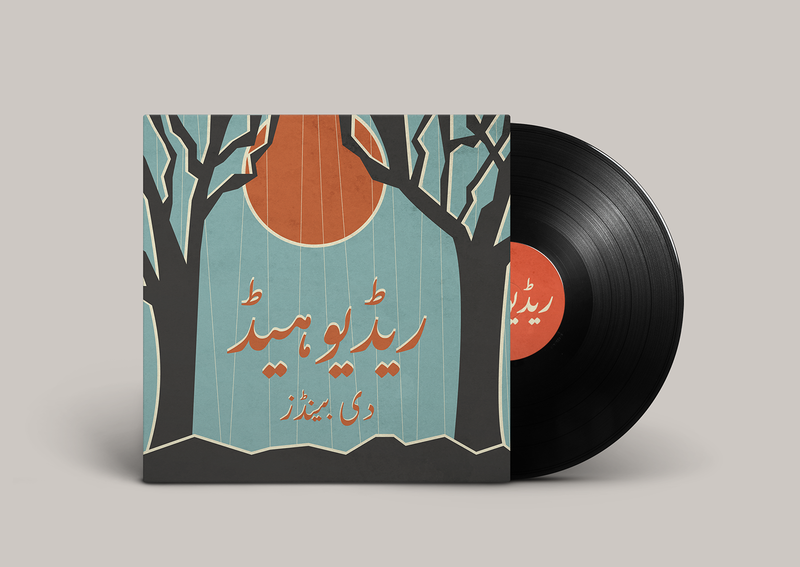 I am able to express myself in ways that encompass so much of what I know and love, and this is how the Urdu Vinyl Project came about. The project first started off as part of a daily exercise to keep myself occupied during an emotionally straining period in my life. I would put on an album that reminded me of the times when I had found the courage to step out of my assigned narrative, and just throw myself into research, sketches and creative work. I started with St. Vincent’s Strange Mercy, a very fitting album — its fiery, angry chords, the ethereal voice of Annie Clark and lyrics about isolation, societal pressures and mental health used to be an important part of my healing process. On top of the emotional release, the vinyl project served a practical purpose as well. I wanted to learn to read and write Urdu, something I never had the opportunity to do as a person born and raised in the United States. While most of the work was done on my own as a form of practice, I received a lot of help from my parents when it came to transliteration of difficult words (I still can’t seem to understand when to use an alif and when to use an ain). I had always been in love with nastaʽlīq, and being able to work with it firsthand just solidified my love. Using vinyl covers as the medium for this project seemed like the obvious choice. I love collecting physical records because of their tangibility. Unlike digital music, the album art plays a vital part in setting the tone and mood for the music. For my pieces, I drew inspiration from the original album artwork and my own feelings about the sounds from the albums. For The Strokes’ Is This It, I felt a connection to the electrifying classic rock n’ roll feel, but also wanted to pay homage to the iconic female form on the original cover. I created my own, simplified female figure and used it as a repeated pattern on my cover. It’s really important for me to be in tune with what I learn from each project I work on. With this project, the biggest lesson I learnt was that the kind of journey I was on is not linear but cyclical. During a time of grief, I was able to look back at a period in my life where I was ready and willing to evolve, to break out of mental barriers. 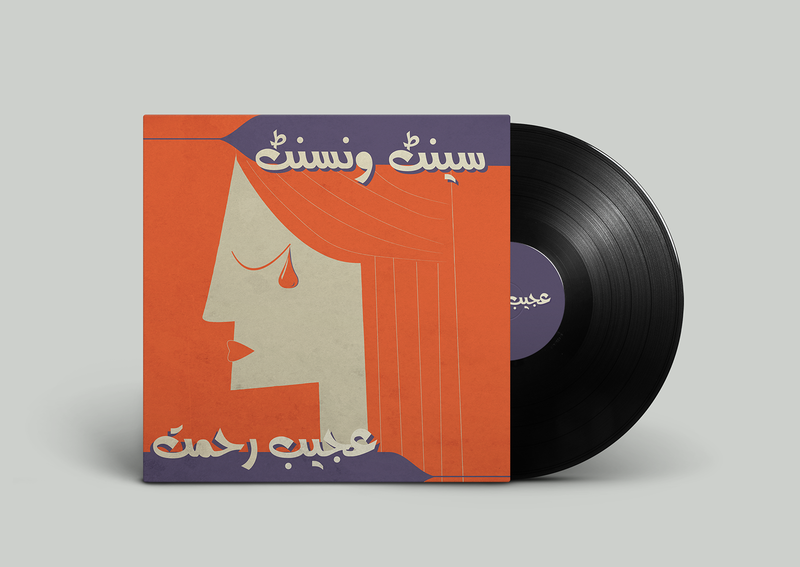 The Urdu Vinyl Project reminded me that I was strong enough to let go once, therefore I can do it again and again, as many times as I need to. Senna Ahmad is an artist based in Washington, DC. 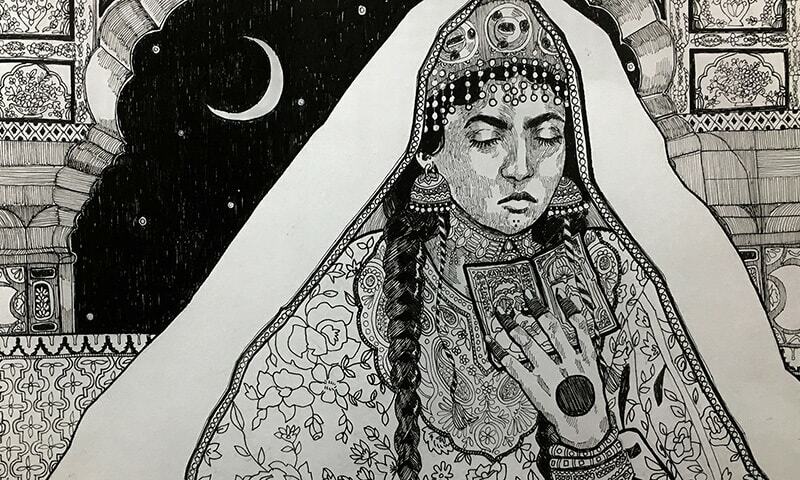 Much of her work revolves around her multifaceted identities as a Pakistani-American woman. Check out more of her work on instagram at @sennaahmad. Phenomenal work! 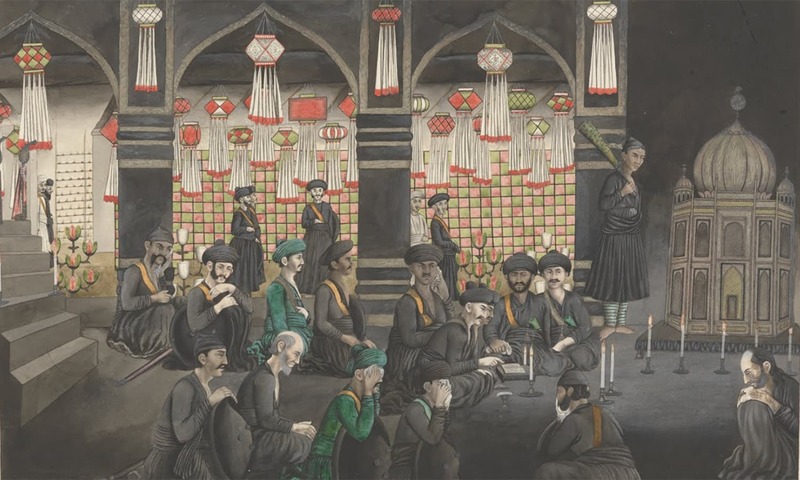 I am an Urdu-loving Pakistani American and have tremendous appreciation for Urdu-based art. I would very much like to purchase these designs. Can you PLEASE make them available? Your incredible work must be shared with all Pakistanis who have an interest and I bet many would. Thank you. Modern Bangla scripts (variant of old Nagari/Devanagari script) are one of the most aesthetically beautiful alphabets in the world. What a beautiful love letter to the Pakistani American diaspora where so many of us constantly battle our origin story with our current story. Or in the wise words of Radiohead "How come I end up where I started How come I end up where I belong..." Love this, can't wait to see where the future takes you and your art! This looks amazing Senna. Waiting to see more unique ideas from you. Good luck.